Pain is one of medicine’s greatest mysteries. When farmer John Mitson caught his hand in a baler, he cut off his trapped hand and carried it to a neighbor. “Sheer survival and logic” was how he described it. “And strangely, I didn’t feel any pain.” How can this be? We’re taught that pain is a warning message to be heeded at all costs, yet it can switch off in the most agonizing circumstances or switch on for no apparent reason. Many scientists, philosophers, and laypeople imagine pain to operate like a rigid, simple signaling system, as if a particular injury generates a fixed amount of pain that simply gets transmitted to the brain; yet this mechanistic model is woefully lacking in the face of the surprising facts about what people and animals do and experience when their bodies are damaged. 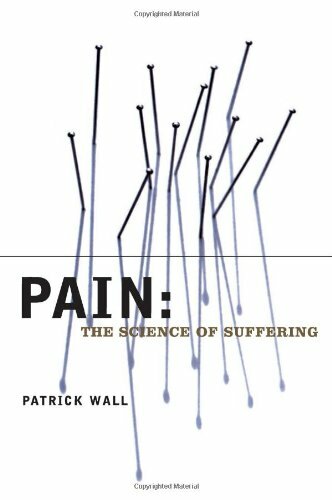 Patrick Wall looks at these questions and sets his scientific account in a broad context, interweaving it with a wealth of fascinating and sometimes disturbing historical detail, such as famous characters who derived pleasure from pain, the unexpected reactions of injured people, the role of endorphins, and the power of placebo. He covers cures of pain, ranging from drugs and surgery, through relaxation techniques and exercise, to acupuncture, electrical nerve stimulation, and herbalism.